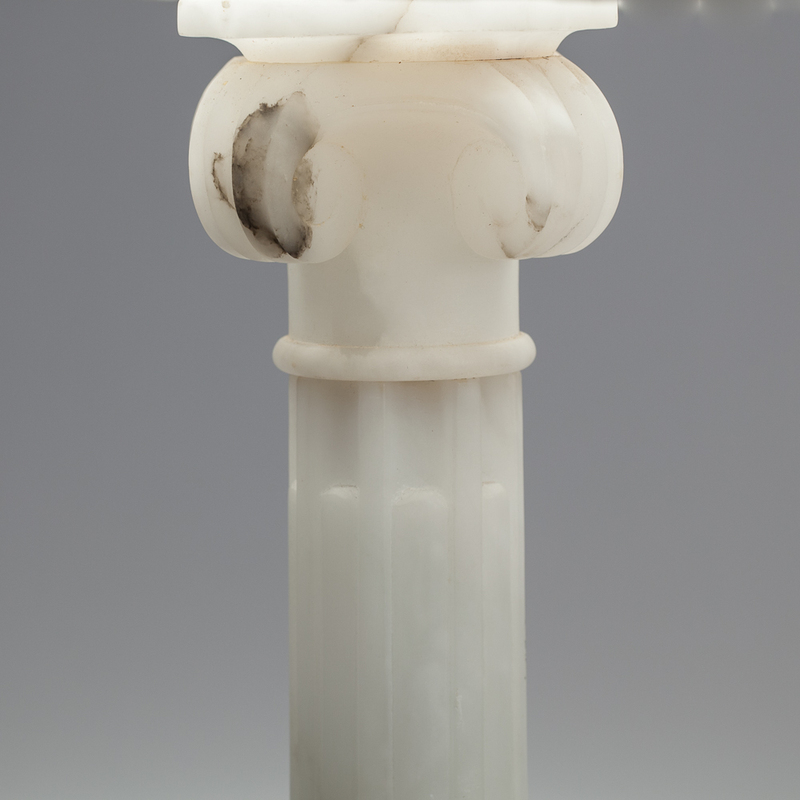 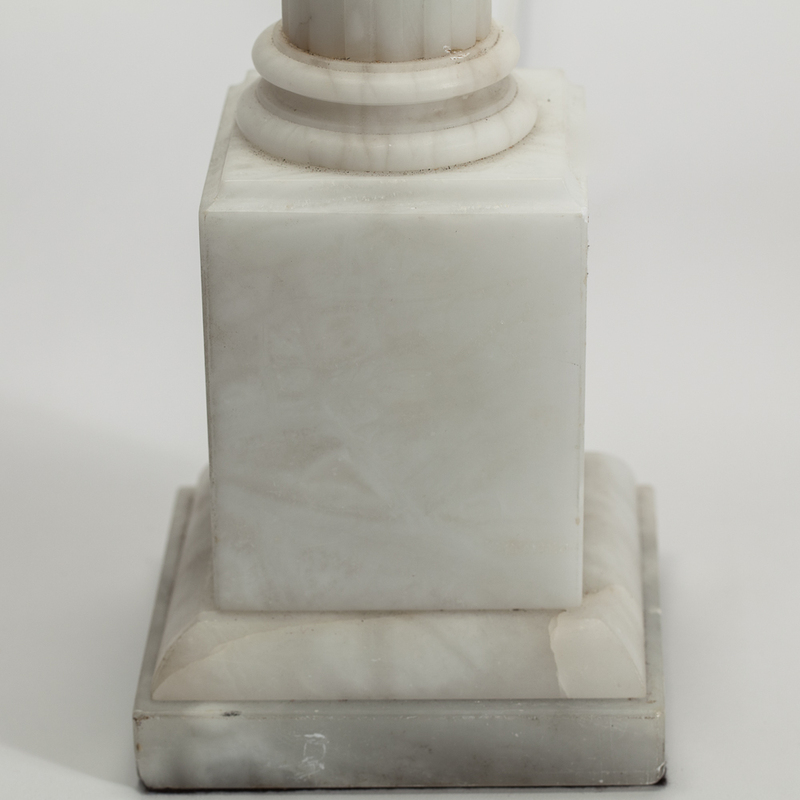 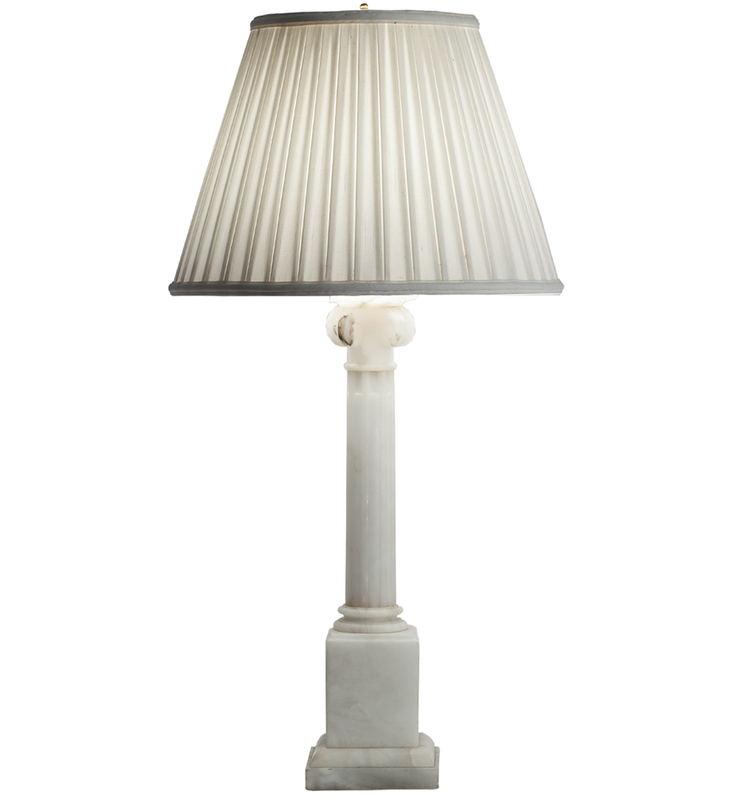 This elegant Corinthian column lamp has a large sturdy base and reeded details on the column. 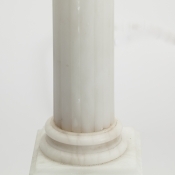 The white shade is a linen fabric. It has recently been rewired with white silk cord.